The Karnataka and Kairana developments seriously undermine BJP's efforts to penetrate into south Indian states like Andhra Pradesh and Telangana either on its own or with the support of allies. The swift move by Congress in Karnataka deprived BJP of a prospective ally like JD(S). Emboldened by the decline of Prime Minister Narendra Modi, the TDP is further firming up its anti-BJP strategy. The TRS which was an uncharitable ally of BJP despite talk of a federal front is in a dilemma over any bonhomie with BJP. 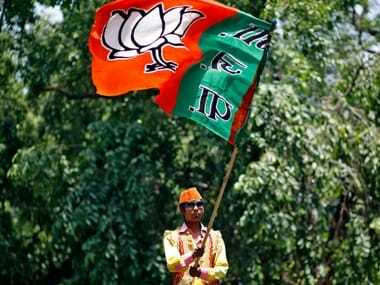 Thus, BJP's plan to compensate the possible losses in the north and the west with the gains in mission-seven states, prominent among them being the two Telugu states — Andhra Pradesh and Telangana — seems to be a distant possibility. The losses in its strongholds are more discernible for BJP while the gains are elusive. Andhra Pradesh Chief Minister and TDP supremo N Chandrababu Naidu was quick to remark that the by-election results validate the feelings expressed by the TDP. Addressing the state cabinet even as the final tally was emerging, Naidu reportedly told his ministerial colleagues that the TDP was the first to raise the banner of revolt against NDA. A senior cabinet minister in the Andhra Pradesh cabinet told Firstpost that the chief minister has even predicted that Janata Dal (United) and Shiv Sena would also follow TDP and soon quit the NDA. The TDP camp was perplexed after the Karnataka results. A senior minister then told Firstpost that the results of Karnataka wherein BJP emerged as the single largest party was rather unexpected. The TDP was, in fact, expecting the BJP's rout in that state. It may be reminded here that TDP has openly called upon Telugus living in Karnataka to defeat the BJP. However, the TDP leadership heeded a sigh of relief as BJP failed to prove its majority paving the way for the unveiling of Congress-JD(S) government. Naidu was thus part of the swearing-in ceremony. The TDP decided to be part of the grand show of unity of anti-BJP forces despite the dominant presence of Congress in that mega event. The BJP was expecting that the YSR Congress will be part of NDA once the TDP walks out of the coalition. The BJP leaders and even NDA ministers were publicly expressing such sentiments. But, the unprecedented public anger against BJP created by the special status narrative dashed the BJP's hopes of finding new allies in Andhra Pradesh politics. 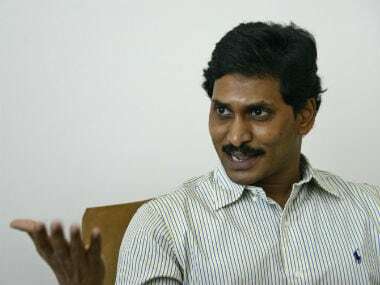 YSR Congress is unlikely to be audacious enough to tie up with the BJP at least in the pre-poll scenario. The BJP hoped to rope in popular film star and the Jana Sena Party chief Pawan Kalyan into BJP or NDA. But, wary of anti-incumbency against the BJP, Kalyan chose not to join the BJP bandwagon. The Jana Sena Party chief himself announced that Amit Shah has asked him to merge his party with the BJP. 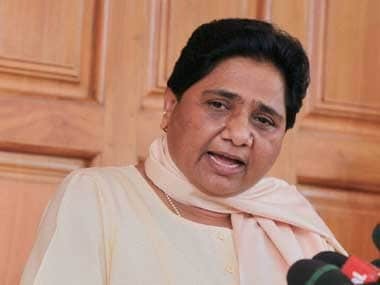 Now, with the decline of BJP evident in its strongholds like Uttar Pradesh and Bihar, either the YSR Congress or Jana Sena Party is unlikely to extend any hand of friendship to BJP. All the Telugu parties are quick to comment that people of India are punishing the saffron party for the injustice meted out to the people of Andhra Pradesh. The spokespersons of TDP or YSR Congress are busy making this interpretation during the debates on Telugu television channels right from Thursday evening. The Telangana political landscape offers a different paradigm. The BJP allied with TDP in 2014 in this state too. But, much before the TDP's exit from NDA owing to the differences in Andhra Pradesh, the Telangana BJP severed its ties with TDP. The BJP felt that alliance with TDP in Telangana would be detrimental to its growth in the new state. The TDP suffered a serious decline in the state, thanks to TRS poaching Congress MLAs. Besides, the TDP is seen as a party led by Seemandhra leadership (Seemandhra refers to the residuary state of Andhra Pradesh). The TRS and the BJP enjoys a sort of love and hate relationship. The ruling TRS has been appreciative of Narendra Modi while the state BJP criticises the Kalvakuntla Chandrashekar Rao (aka KCR) regime. The central BJP leaders including ministers made it a point to praise KCR rule on every other occasion. This peculiar relationship between TRS and BJP is the result of the state-specific political situation. The Congress is pitted against TRS. Therefore, the TRS would not do anything that can remotely benefit the Congress as it is its main rival in the Telangana politics. Thus, the BJP is its natural ally. However, the TRS is wary of losing the minority and Dalit votes if it gets close to the BJP. Telangana has 12 percent Muslim population and the Owaisi's MIM is its ally. Political observers even feel that KCR launched his attempts to form the non-Congress, non-BJP front only on the advice of Prime Minister Narendra Modi. Several moves by KCR give credence to such argument. KCR met leaders of JD(S), DMK, TMC and SP, all of them are either ally of Congress or its prospective allies. KCR has not met the leaders of Shiv Sena or JD(U)or Akali Dal who are sulking in the NDA. The Telangana chief minister kept itself away from the South Indian finance ministers meet held in Kerala to oppose the terms of reference of 15th Finance Commission. KCR chose not to attend the Kumaraswamy swearing-in ceremony but has only called on him a day before. All these factors provide fodder for speculation that TRS may join the NDA before or after 2019 polls. But, speaking to Firstpost a senior TRS leader close to the chief minister said that the question of TRS becoming a pre-poll ally of BJP is ruled out as the Modi graph is declining. "We do not want to carry the anti-incumbency of Modi on our back," said the TRS leader on condition of anonymity. The special status issue has ruined the BJP chances in Andhra Pradesh. The current political developments further reinforce this trend. The BJP's expectations of making inroads into Telangana politics are seriously undermined by the waning popularity of Modi and Uttar Pradesh chief minister Yogi Adityanath. The BJP wanted to rope in Yogi as the state has significant minority population making it vulnerable to communal mobilisation. BJP MLA, NVSS Prabhakar, in fact, said in the state Assembly that Yogi will emerge on Telangana political horizon to unveil BJP rule in the state. Now, with Yogi losing by-elections in his own state, the Yogithva brand of politics seems to be not an attractive proposition for the Telangana BJP. Thus, the tremors of bypoll results are felt far and wide.